The flu not only takes a toll on the person who gets it, but it can wreak havoc on hospitals. From patient overload to staff shortages, the flu can cause some trouble. Last year’s epidemic caused many hospitals and urgent care centers, with an onslaught of additional patients across the nation, to increase hours and set up triage tents, restricting visitors and canceling elective surgeries.3 The additional patients and longer hours can wear down and cause additional stress for our caregivers. As we head toward the holiday season, peak flu season will want to join in on the party. 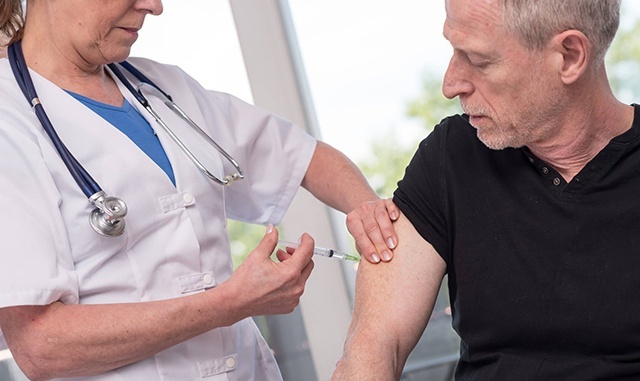 Now is a good time to make sure your hospital is doing everything they can from an infection and prevention standpoint to cut down on the transmission of flu. As Benjamin Franklin once said, “An ounce of prevention, is worth a pound of cure”. The strategies for prevention seem obvious and straightforward. However, diligence and consistent infection prevention is the key to success! Here are a few simple but effective strategies that will help you improve your organization’s results this year. Get the shot, encourage the shot! So go get the shot! It is even more important for those in the medical field who work with high risk patients, such as the elderly or children. Healthcare workers should also encourage loved ones and colleagues to get their shots too. Are you sick? Stay home! Many of us try to “tough it out” and work through an illness. This isn’t a good idea, especially with the flu. When you come to work sick, you just spread the germs to colleagues and even worse, your patients. Create a plan that gives staff the ability to stay home when they are sick. Capacity planning now helps you efficiently manage the spikes when they happen. Knowing how you will cover the outage makes it easier for you to encourage coworkers to stay home until they are better. You want them to share their festive goodies, not their flu bug. Sometimes staff get so caught up in the day-to-day tasks of their jobs that they need a gentle reminder on flu prevention. Post “Flu Season” reminder signs for employees and visitors alike, such as covering your mouth when coughing and/or to wash/sanitize hands often. Recommend that children under 18 or anyone with flu-related symptoms shouldn’t visit patients in the hospital. For those that do come in and exhibit any kind of cold or flu symptoms, require that they wear a mask. If you can’t measure it, you can’t manage it. So how do you measure the success of your prevention actions? Many hospitals have a process in place for infection control using an audit technology. 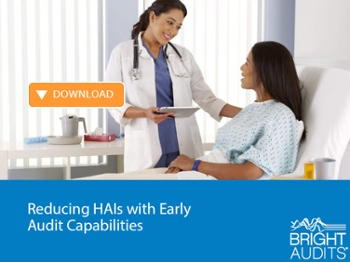 BRIGHT AUDITS® enables healthcare organizations to take control of their auditing needs. An innovative, mobile auditing technology, BRIGHT AUDITS users can quickly and easily create, execute, and analyze audits throughout their organization. With additional features such as simple intuitive interfaces, negative incidents triggers, real time alerts, and organizational hierarchy and escalations, BRIGHT AUDITS is for organizations who want to implement a mobile strategy for quality, safety, and compliance system wide to reduce flu-related risks.